YOSEMITE NATIONAL PARK -- A hiker slipped and fell to his death Monday while climbing up Yosemite National Park's Half Dome, CBS San Francisco reports. His body was recovered Tuesday. National Park Service (NPS) rangers say this is the first death on the famed cabled path since 2010. 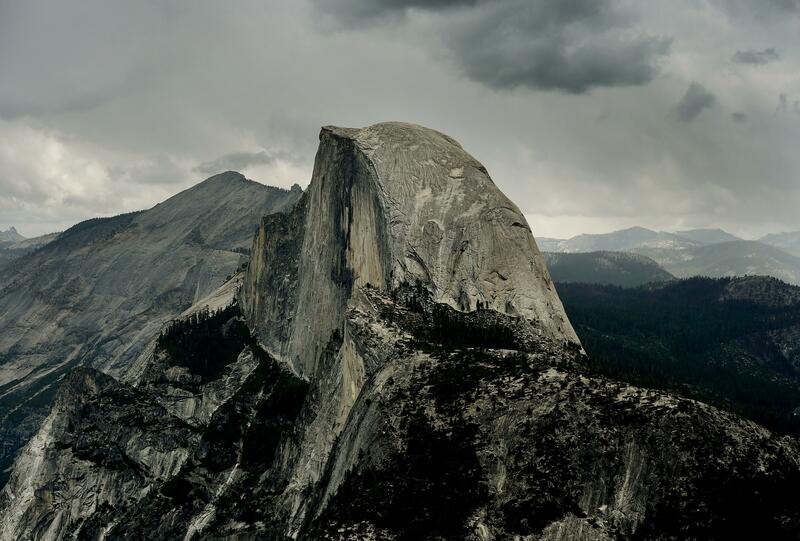 Park officials said the man was on the Half Dome cables hiking with another person during thunderstorm activity at approximately 4:30 p.m. Monday when the incident occurred. Rangers arrived on the scene and were able to provide assistance to the second hiker, who was shaken but uninjured. A team was able to recover the man's body at 1 p.m. Tuesday. No further details about the incident were immediately available. NPS spokeswoman Jamie Richards said the man and a companion were scaling the steepest part of the trail where rangers recently installed cables to help hikers get to the top of the 8,800-foot rock face. The cables are installed each summer to assist the climbs of thousands of hikers who make the popular 14-mile round trip. The identity of the deceased hiker will be released pending family notification. The cause of the incident remains under investigation. It was the first visitor fatality in 2018.